The DigitalBank Vault aims to bring crypto and Blockchain products and services to the global market by providing an easy-to-use and fully protected banking solution, offering regulated crypto and traditional financial market products and services for institutional and private investors. The DigitalBank Vault will leverage its revolutionary , proprietary encryption technology, from best-of-breed cyber security experts and blockchain engineers, to deliver the most secure and user-friendly experience. 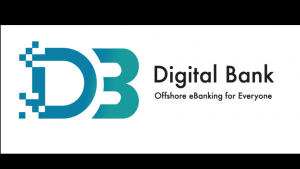 ​The DigitalBank Vault will bring regulatory compliance, the respected banking culture, tried and tested investment strategies and risk frameworks to the digital assets market. With the DigitalBank technology your crypto money is safer than in any bank vault on earth . The private key is never stored on the device itself and is never transmitted anywhere so there is no risk that someone can obtain information through forced entry.